1) Boil the tortelloni for about 6-8 minutes and cool immediately. 2) Place tortelloni in a baking dish. 3) Add the bolognese sauce and the béchamel sauce. 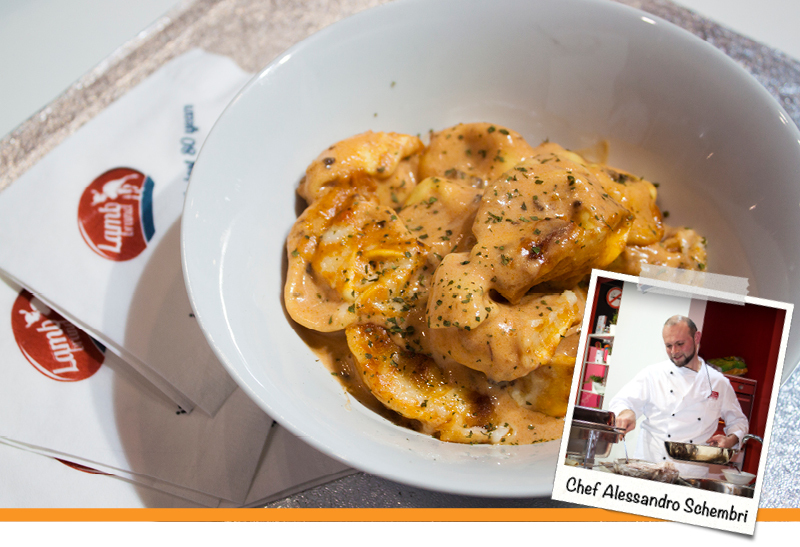 4) Infuse the tortelloni with the sauces and add the grated mozzarella. 6) Finish off with the mixed herbs and fresh ground black pepper. 7) Place in oven and cook for 30 minutes or until golden brown with a temperature of 170-175°C. 8) Let set and serve.